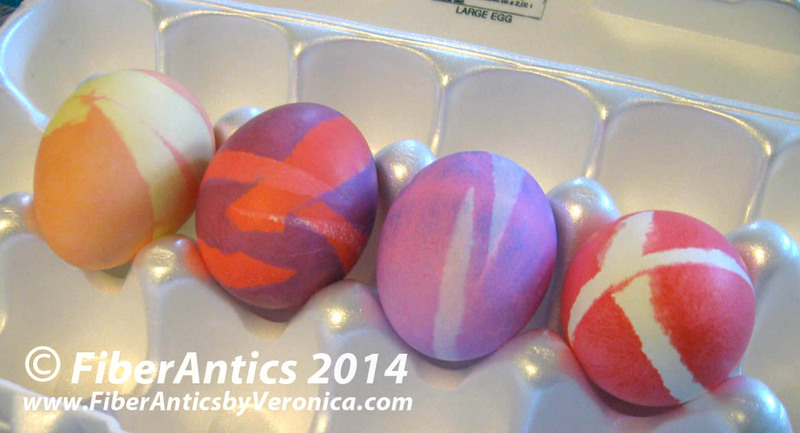 Here are the results of the 2014 Easter egg dyeing escapade. 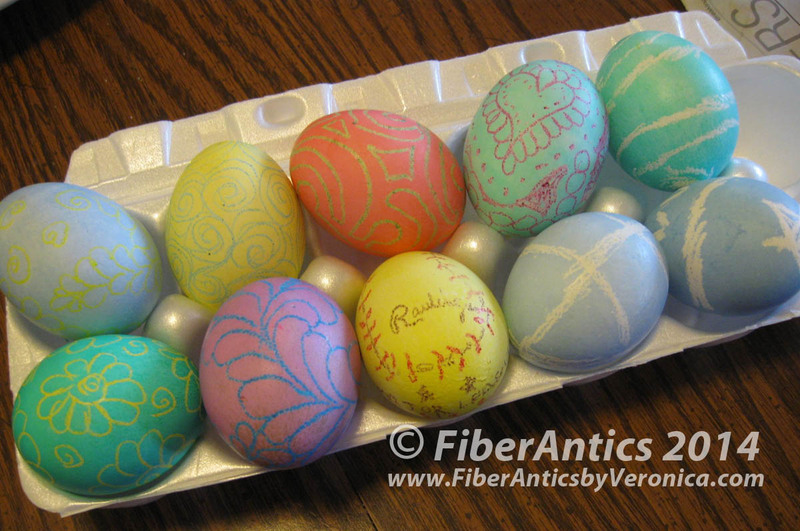 First up are the masking tape resist dyed eggs. Notice three of these are two colors. They were twice dyed. Next are the solids, the two-toned, and an attempt at marbling (upper left green and lower left almost-white). This was not as successful as Ms. Stewart would lead you to believe. The half-and-half dipped are easier and more successful. Solids, duotones and marbled eggs. 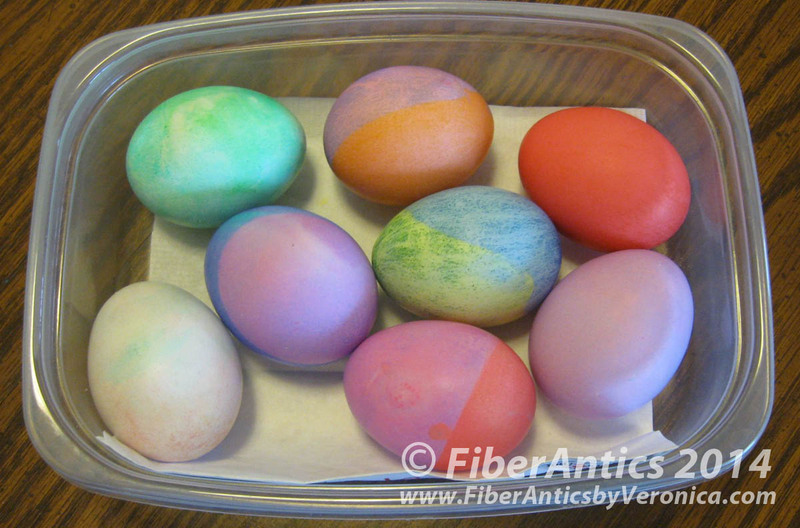 Then come the crayon resist Easter eggs. These have the greatest color and design potential: free-motion quilting patterns, feathers, a spiral and note the yellow baseball egg... front and center. 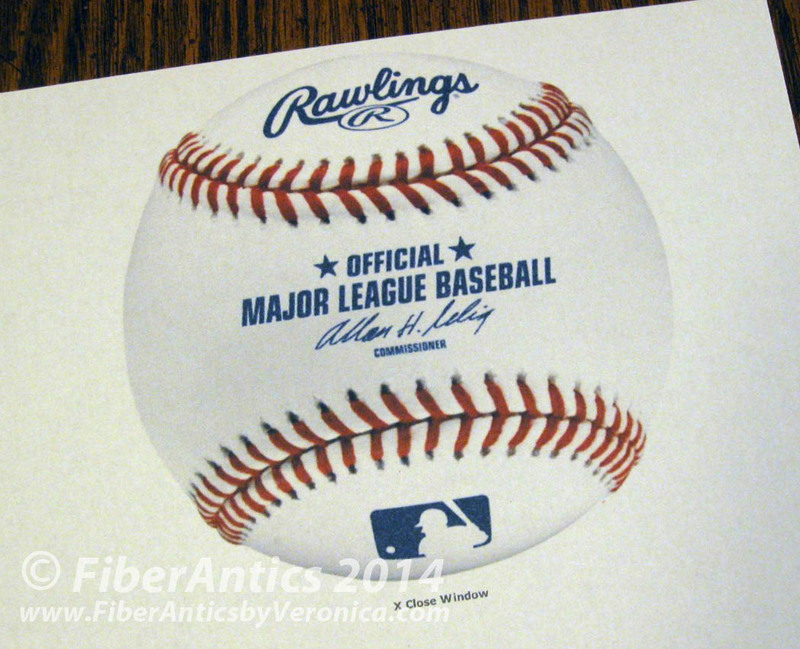 Larry even printed out a picture of an official MLB Rawlings baseball as reference. Rawlings reference for the baseball egg. We don't do it "half way" at our house. 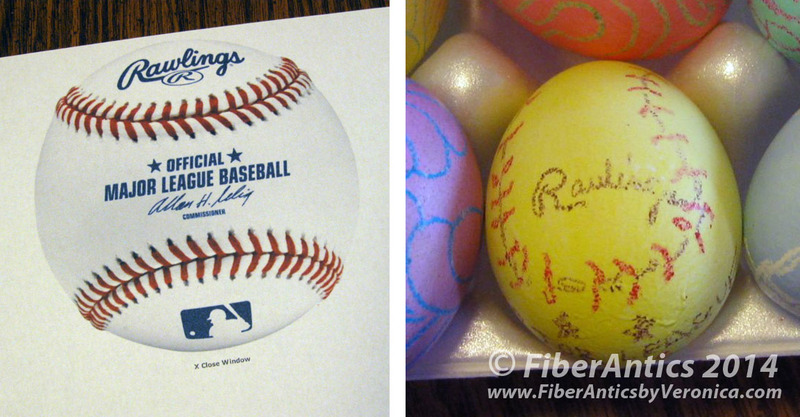 MLB baseball and its twin [by another momma chicken]—the baseball egg. Thanks for the update with a photo of the infamous baseball egg! Thankfully, I will no longer have to lose sleep wondering about that!! Lol! Most happy to accommodate your request, Gwen. Wouldn't want you to lose any more sleep. I should have put in a link in the first post.